Member engagement and motivation are an integral part of a successful online community strategy. Community managers are increasingly experimenting with different tactics to drive user engagement. One such technique, which is transforming the way members participate and interact with each other is gamification. 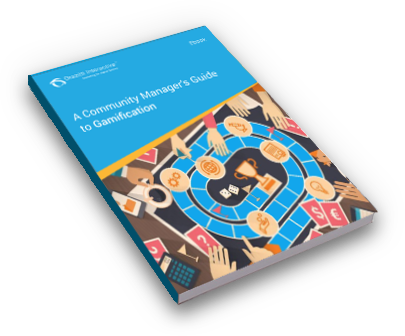 Read this eBook to learn how our community experts helped world’s leading organizations to drive user actions aligned with their business objectives by leveraging effective gamification strategies. A global software leader reduce the average number of days to train its employees by 50% (per employee) in its employee community. A leading customer experience optimization software company achieve 57% increase in the number of questions answered and 32% increase in the number of ideas submitted in its customer community. A leading SaaS-based applications provider record 85% reduction in partner support calls in its partner community. Grazitti has been a tremendous help to us with analytics. They’ve catapulted us months ahead of our internal project plan and have not slowed down. Thanks for downloading. You will shortly receive the eGuides in your inbox.